Brian Price manages Palmer Woods for the Leelanau Conservancy. Palmer Woods used to be a private forest managed for timber. Now, it is owned by the Leelanau Conservancy and it’s open to the public. “We’re standing kind of in the middle of the southern end of the property in a deep valley,” says Brian Price as he shows me the property he manages for the conservancy. There are more than 700 acres of forest here, just east of Glen Lake. Price says the foresters who managed this land knew what they were doing. “Because you’ll see really straight, beautiful trees; higher percentage of cherry, higher percentage of oak,” says Price. Even though it has been well managed, it has the same problems most forests in northern lower Michigan face. And one is too many deer. “And the reason you can tell that for sure is you see evidence for that everywhere; anything that the deer like to eat is almost nonexistent in this woods anymore. And the things that they don’t eat, which are the beech saplings, are everywhere,” he says. In fact, Price estimates nine out of ten young trees here are beech. So this fall, the conservancy fenced off more than 30 acres of Palmer Woods with a eight-foot steel fence. The fence is to keep the deer out. 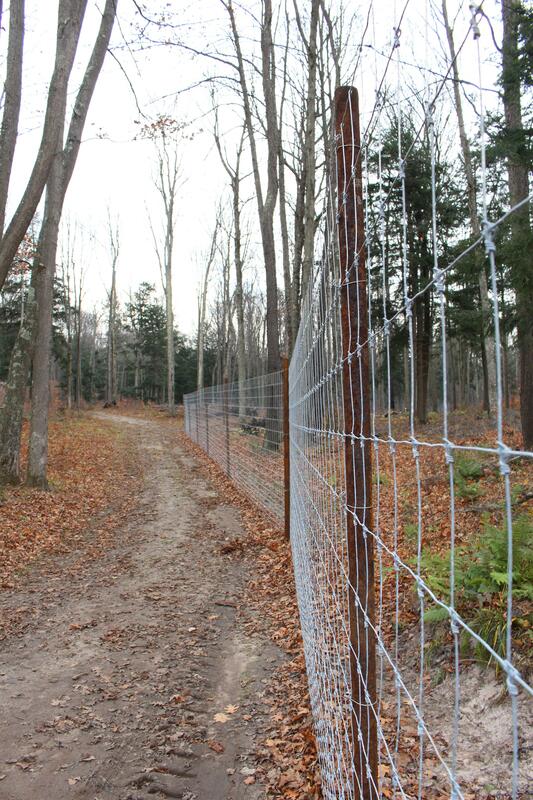 The Leelanau Conservancy has built an eight foot high fence to keep deer out of 30 acres of woods. Within a few years, Brian Price expects the areas inside the exclosure to have plants that cannot grow in areas with lots of deer; trees like maple and oak, and also wildflowers that would otherwise be eaten, like trillium. Exclosures like this are not new to conservation and Price has a pretty good idea what will happen, but he also expects to learn a few things particular to this area. 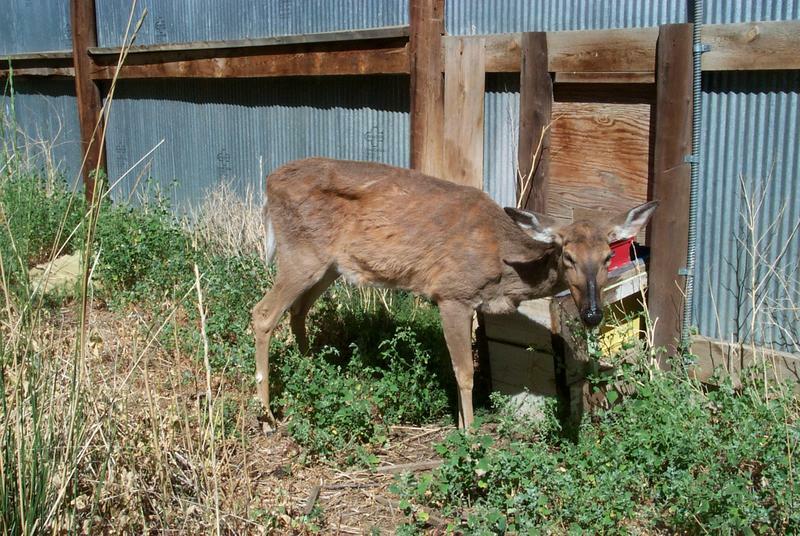 And he says the exclosure will help the conservancy demonstrate the damage caused by too many deer. It’s a problem he says is invisible to the general public. “What the deer exclosure does is it draws attention to what a forest should look like compared to one that is severely over-browsed. It’ll be a stark contrast, we do know that. Everywhere it’s been done it’s been a very stark contrast,” he says. Only a small fraction of Palmer Woods will be protected by the fence, about five percent of the forest. The only way to change the ecology of the entire forest would be to get hunters to kill more deer here, a lot more. Research in Wisconsin has shown greater plant diversity in forests on Indian reservations where there is more hunting. 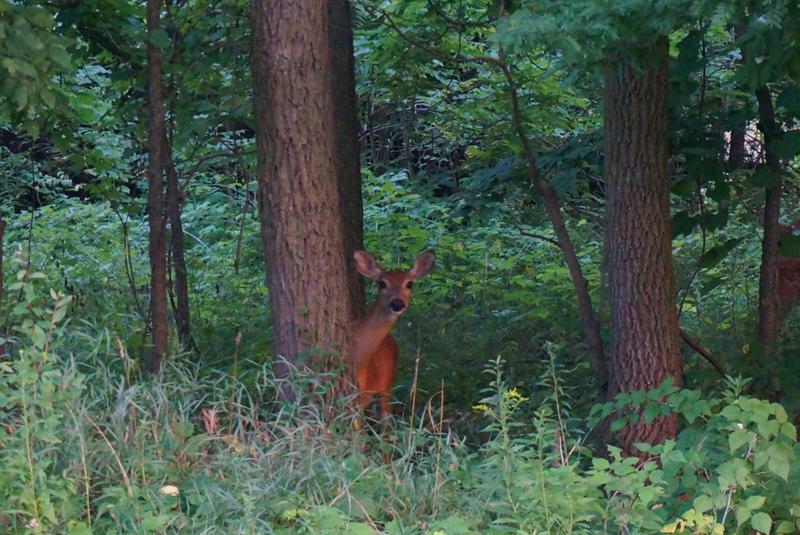 But Becky Hill says even if more deer are shot in Palmer Woods, it might not change much for the forest. She manages all the natural areas for the Leelanau Conservancy. 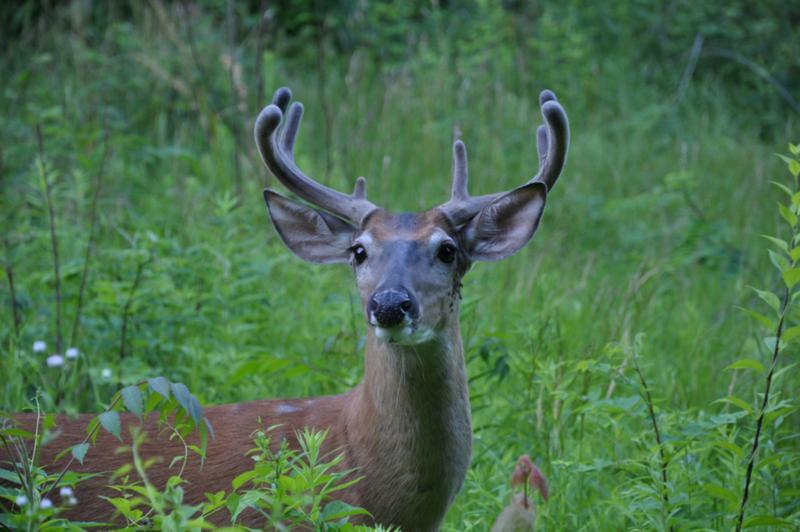 “We can manage Palmer Woods' hunting policy the way we see best but just to the west is Sleeping Bear Dunes and of course there’s private property surrounding, and obviously deer don’t pay attention to what those boundaries are and so they’re going to move between properties,” she says. Deer will have no choice but to pay attention to the boundary around a tiny fraction of Palmer Woods. And there, inside the fence, the conservancy will be able to show what a northern Michigan hardwood forest looks like without so many deer.